Time goes fast when you make a promise... Haitian president Jovenel Moise promised electricity 24 hours a a day across Haiti in 24 months. as of October 2018, only 7 months remains. Will the president be able to keep that promise? The Haitian president said the main problem with electricity in Haiti is not the production of energy but the network needed to carry that electricty accross the country to the people who need it. His plans, amontg other things, is to build build the electric grid necessary to links all the major cities together. 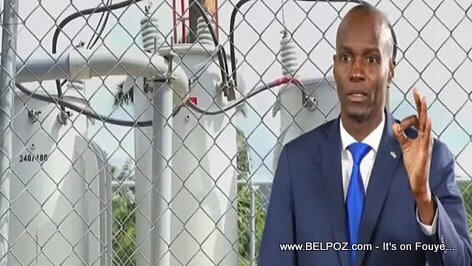 Watch this video where president Jovenel Moise explained in details his plans to electrify Haiti 24 hours a day.